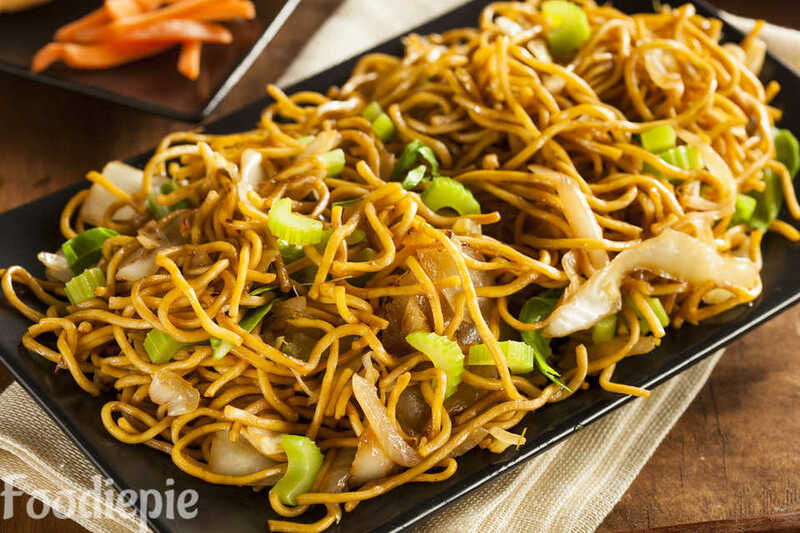 Vegetable Hakka Noodles- Children's favorite dish Vegetable Hakka Noodles looks good to us all. Use a little more quantity of vegetables, so that the noodles becomes delicious and also become healthy.In this recipe we use boiled Noodles,Green Veggies,Soy sauce,Chilli sauce,ketchup's and spices which gives it extra chiness flavors and texture.Now today we make this recipe at home step by step with easy method.Let's checkout recipe first. Step 2 : Heat oil or butter in the pan, add ginger, carrot, capsicum and cauliflower, stirring continuously with a spoon, cook for 2 minutes. Step 3 : Now add noodles, salt, soya sauce, vinegar, chili sauce and black pepper, stirring continuously with a spoon, mix it on high flame for 2-3 minutes. Step 4 : Mix and toss until noodles are evenly coated with sauce and veggies for 1 minutes. Finally : Transfer to serving plate Vegetable Hakka Noodles is ready.Serve hot and delicious noodles with soup and ketchup.